Your time away at school may be packed with activities, but stressing over what to do with your things over the summer months shouldn’t be one of them. 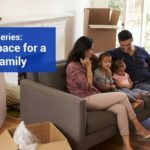 Storage Express explains why storage units are an excellent option between semesters. With facilities in Columbus, OH and other locations around the Midwest, we’re here to help students enjoy peace of mind during summer break. Hauling your things home during summer break is a time-consuming, expensive option. Assuming you’re traveling in a vehicle big enough to accommodate everything you brought to school, imagine how long it will take to cram it all in. If your belongings won’t fit inside your car, you’ll need to rent a trailer or truck to transport them home. Taking inventory of everything you brought to school is the only way to ensure it will all fit. Self storage lets you avoid the hassle of all that tracking, cramming, packing, and unpacking. 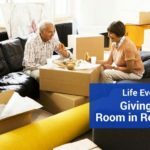 Storing your stuff in your apartment may seem like a logical choice, especially if your roommate is trustworthy and responsible. But are your roomie’s friends as likely to be careful around your record collection? And even the sharpest among us have left a door unlocked or a window open now and then. 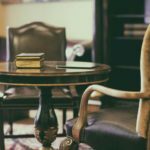 There are few worse things we can think of coming back to after summer break than missing belongings due to a moment of carelessness. Storage units are a smart alternative to your school accommodations. Besides keeping your clothes, movies, collectibles, and other items secured while you’re at home for the summer, a storage unit helps keep your place tidy during the school year. Store reference books, out-of-season clothes, holiday decorations, off-season sports gear, and other items off-site to keep your living space clutter-free. You’ll have fewer items to dust and vacuum around, leaving you with more time to study, socialize, and enjoy the area. You don’t want to look back on your college years and regret not making the most of them. Whether you’re traveling across the country or just a few towns away, make preparing for summer break easier by reserving self storage. 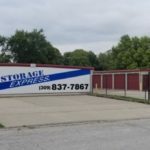 Enjoy the benefits of storage units from Storage Express at either of our two facilities in Columbus, OH, as well as the rest of the Midwest.